The Historic Field Systems of East Anglia Project was carried out with support from English Heritage’s Monuments Protection Programme. The project formulated a way of analysing the historic landscape in terms of eight basic ‘land types’ that could be further broken down into eighteen sub-types. Of especial significance were common fields and their antithesis, ancient ‘block holdings’ or holdings in severalty (farmsteads surrounded by their own group of fields). 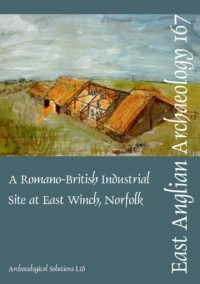 This form of analysis was applied to twelve detailed case studies of historic land use that were carried out across the region: three in Norfolk, four in Suffolk, three in Essex and one each in Hertfordshire and Cambridgeshire. In each place the landscape was categorised, mapped and quantified according to the land types. The varying percentages of all the land types was calculated and common fields were shown to be most prevalent in the north and west of the region, while block holdings dominated in the south, with some areas showing no evidence of ever having had common fields. By using trend lines derived from the computer-based Historic Landscape Characterisation mapping (recently carried out in the region under another English Heritage sponsored project) in conjunction with a variety of other data sets, it was possible to suggest a wider context for the case-study based conclusions. Of particular, and unexpected, importance was a division running diagonally across the claylands of central Suffolk, approximately on the line of the River Gipping. To the south of this there is gently undulating land which had a high potential for arable farming in pre-modern times, while to the north there is mainly flat land, with an historic tendency towards dairy farming. It was also possible to demonstrate a high incidence of block holdings in the southern area and, conversely, a link with a form of common fields to the north. But beyond these topographically explicable differences, it was also apparent that the ‘Gipping divide’ was a significant cultural boundary. This can be seen in vernacular architecture, both in constructional methods and in plan forms; in the terminology used to describe greens and woods; and in inheritance customs. The patterns seen in south Suffolk extend into Essex and those in north Suffolk extend into Norfolk, indicating that this was a boundary of regional importance that has a greater cultural significance than the existing county boundaries. In examining the origins of the region’s field systems, consideration was given to claims that some areas had extensive co-axial field systems of pre-Roman date. A careful examination of the evidence suggests that although co-axial systems do exist, they are not vast terrain-oblivious entities and that they have varying dates and purposes. Some co-axial systems may incorporate prehistoric elements, but others are likely to be late Saxon or early medieval in date. Importantly, they are not automatic indicators of early land allotment. The case studies suggest that ‘locational’ analysis involving soil type, drainage potential and access to water is a more certain way of identifying the areas most likely to have been used for early agriculture. In the northern part of the region these ‘core’ arable areas tended to develop into common fields, but in the southern zone they tended to become block demesnes, that is large fields that were the exclusive property of manorial lords. This divergent development probably had its genesis in the late Saxon period and has an obvious significance for the understanding of the origins of common fields on a wider, national, level. The late Saxon period witnessed very significant advances and changes in agriculture that were to have far-reaching consequences. The factors driving and influencing these changes are complex but included a climatic amelioration, an increase in population, the development or re-introduction of the mouldboard plough and the Viking invasions. The project produced evidence pointing towards a linkage between areas of Viking settlement/influence and the appearance of common fields — but not in a simple sense of an imported idea, as current evidence suggests that the English common fields are earlier than those of Scandinavia. However, the adoption of common fields may have arisen out the social upheaval caused by the Viking interventions or in the reorganisation following the English re-conquest. If so, this could suggest an origin for common fields in the late ninth or early tenth centuries. Conversely, areas that showed minimal Viking influence seem to have developed block demesnes, possibly as a continuation of farming practices that could have their roots in the Roman period or even earlier. 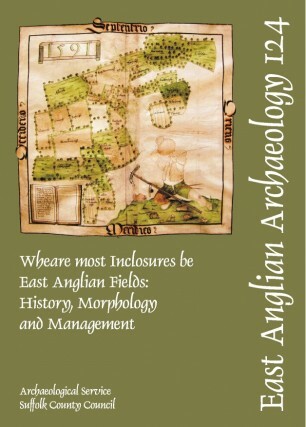 These findings confirm that East Anglia has an important legacy of ‘ancient’ enclosed fields, corroborating the sixteenth-century observation by Sir Thomas Smith that it was one of the areas ‘wheare most inclosures be’. Ancient cultivation traces within the fields are, however, rare. This is not because ridge-and-furrow, as found in the Midlands, has been eroded away, but because over most of East Anglia ‘stetch’ ploughing was the norm and this produced low ridges that seldom survive as earthworks. The conservation priority therefore is the preservation and the historically appropriate management of the boundaries of these fields, for changing the appearance of boundaries can change the local character as much as changes to the pattern. The report has therefore pulled together a key collection of historical descriptions of the nature and management of field boundaries across the region, as an aid towards the informed conservation of the East Anglian landscape in the twenty-first century.